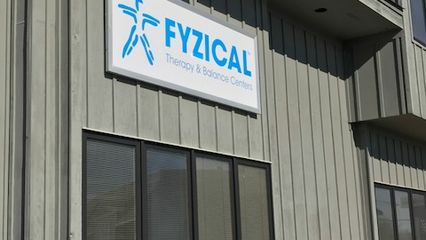 FYZICAL is unlike any thearpy clinic you've been to before. Our highly skilled and compassionate teams of Physical Therapy Providers are 100% focused on achieving optimal health and wellness for you so you can get back to living the life you enjoy. Donna Singer, PT, MPA is the owner of FYZICAL Therapy & Balance Center Little Silver. Her specialties include Orthopedics, Joint Replacement, Osteoporosis, Balance Retraining, Fall Risk Prevention, Rock Steady Boxing, and Titleist Golf Performance Enhancement. She is an active member of the American Physical Therapy Association and a past president of the New Jersey Chapter of the APTA. Donna is committed to treating all clients as if they are family. She provides treatment in a friendly, relaxed atmosphere. She begins treatment with a comprehensive initial evaluation from which she develops a unique treatment plan designed specifically for them. In her free time Donna is an avid golfer, enjoys horses, downhill skiing, and traveling all over the world. Donna's clients enjoying hearing her well told stories of her worldwide adventures. Donna received her Bachelor's in Physical Therapy from Northeastern University in Boston, MA, and her Masters in Public Health Administration from Fairleigh Dickinson University in New Jersey.